This is the time of year that we're planting our tomato seedlings outside. In just a couple of months those tomato plants will tower over most of us and some will reach 7 to 10 feet in height! 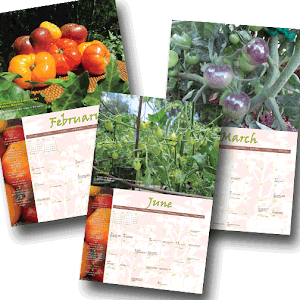 Add to that, the plants will hopefully be heavy with ripening fruit and you'll understand why tomato plants definitely need support - lots of it! 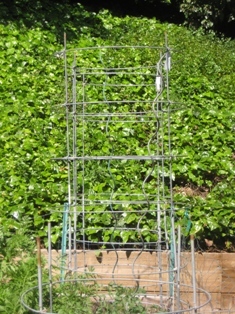 I support my tomatoes both at the center trunk and with some type of tomato cage to help hold the branches and fruit. My rule is that as soon as I plant, I put a tall stake in the soil about 3 inches away from the center of the plant. Don't wait to put the stakes in later. They could disturb and harm the large root system that is developing. 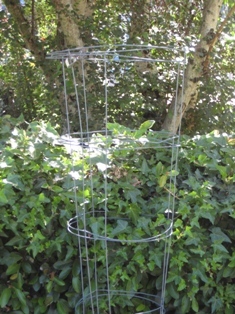 While they can sometimes be difficult to find, I like to use the metal spirals as stakes. If I'm careful and very attentive I can somewhat train the plants to go up the spiral and reduce the amount of tying I have to do. I also often use the plastic coated metal stakes that are easily found at every nursery and garden center. You'll notice I haven't said anything about redwood stakes...that's because I never use them! They rot and break, especially under the pressure of a heavy tomato plant. 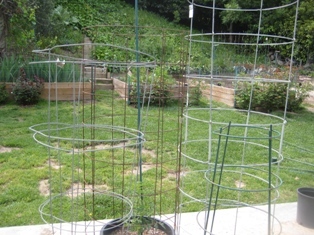 There are a variety of wire cages available that are used to support tomatoes. You'll see just some of them in the photo above. 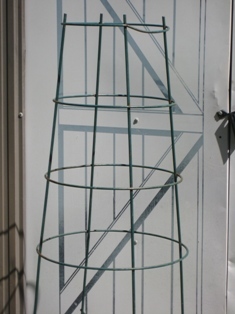 Remember the old school tomato cages we used to buy? Well, in truth they are not very effective when used with tomatoes. They were designed for the cut flower market and while they can be terrific at corralling Chrysanthemums they will surely be crushed by the weight of a full grown tomato plant. 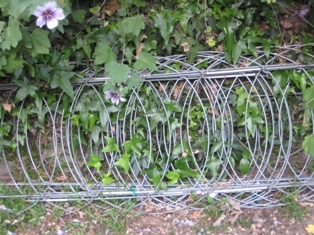 These green steel cages are quite sturdy and they blend in with the plants so they don't become an eyesore. They are reasonably priced and easy to manage. My preference is something taller as my plants definitely grow taller than these cages. 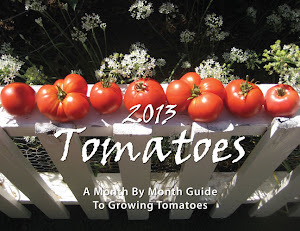 I grow several tomatoes in 15-gallon containers and many cages will not fit inside of them. For those, I make cages using hardware cloth. It's simple enough to make them although the rolls of wire (hardware cloth) are heavy and difficult to handle on your own. I don't recommend this type of cage for plants growing in the ground as they are not stable, especially in times of extreme wind. My favorite cages are Texas Tomato Cages. They come in two pieces so they're easy to manage. There are two-foot extensions that can be placed on top for additional height. While a six-foot cage is usually tall enough there are always one or two plants that outgrow them. The Texas Cages have long spikes at the bottom so they remain firm once placed in the ground. Best of all, these cages fold flat for storage when they're not in use...they definitely can be used for peas and other climbing crops. I must warn you...Texas Tomato Cages are not inexpensive but they are worth every penny. 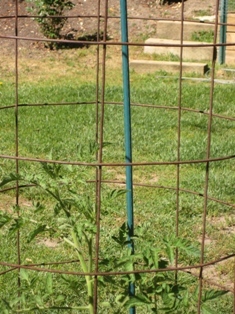 They will last forever and will be the only tomato cages you'll ever need. Where do all the tomato plants go? ?